WASHINGTON Chairman Ben Bernanke said Monday that the Federal Reserve's low-interest-rate policies are helping to boost growth around the world and have created markets for products made in developing nations. 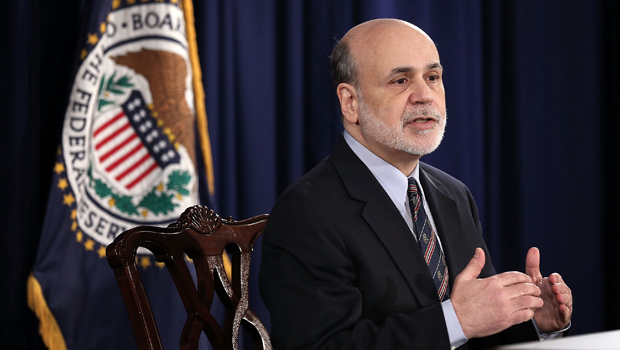 In a speech at the London School of Economics, Bernanke staunchly defended the Fed's policies and similar stimulus efforts pursued by other central banks since the 2008 financial crisis. Last week, the Fed stood by its efforts to keep borrowing costs at record lows, saying the U.S. economy still required the support to help lower high unemployment. Critics have argued that the low-interest-rate policies could feed a global currency war, which is lowering currency values to make products more competitive on global markets. Some have blamed such policies for making the Great Depression worse during the 1930s. Countries devalued their currencies and raised tariffs, which made foreign-made goods more expensive and stunted trade. They became known as "beggar-thy-neighbor" policies. Bernanke argued that the situation is different today because the low-interest rate policies have the primary aim of boosting domestic growth, not trying to lower the value of a nation's currency. "Because stronger growth in each economy confers beneficial spillovers to trading policies, these policies are not `beggar-thy-neighbor' but rather `enrich-thy-neighbor' actions," Bernanke said. The current efforts should support stronger trade flows, Bernanke said. By boosting growth in major economies, consumers can buy more imported goods from developing countries. After its two-day meeting last week, the Fed said it would stick with its plan to keep short-term interest rates at record lows at least until unemployment falls to 6.5 percent. Unemployment in February stood at 7.7 percent. Bernanke told reporters that the Fed saw the 6.5 percent unemployment level as a threshold and not a "trigger," for a possible rate increase. The Fed also said it would keep buying $85 billion a month in bonds to keep long-term borrowing costs down. Bernanke told reporters at a news conference that the Fed might vary the size of its monthly purchases depending on whether the job market is improving and by how much. In its policy statement, the Fed noted that the U.S. job market has improved, consumer spending and business investment have increased and the housing market has strengthened. But in an updated economic forecast also released last week, the Fed said it still did not expect unemployment to reach 6.5 percent until 2015. The Fed's economic projections showed that 13 Fed officials still think the first Fed rate hike will not occur until 2015. That was the same number as in December. One Fed official thinks the first boost in the short-term lending rate won't occur until 2016.